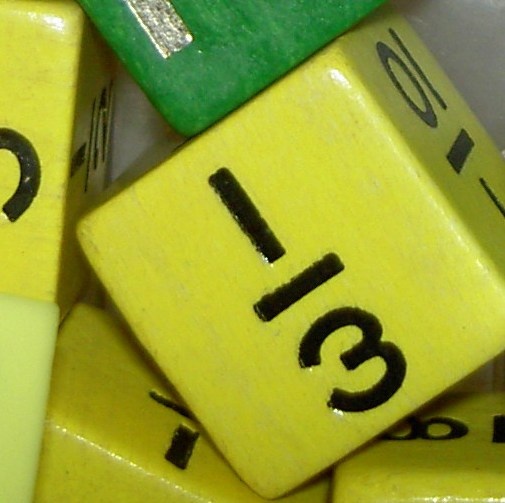 The number composed from a certain number of share units, in arithmetic, is called a fraction. It usually consists of two parts - the numerator and the denominator. Each of them is an integer. Literally the denominator shows how many parts the unit is divided, and the numerator how many of these parts took. 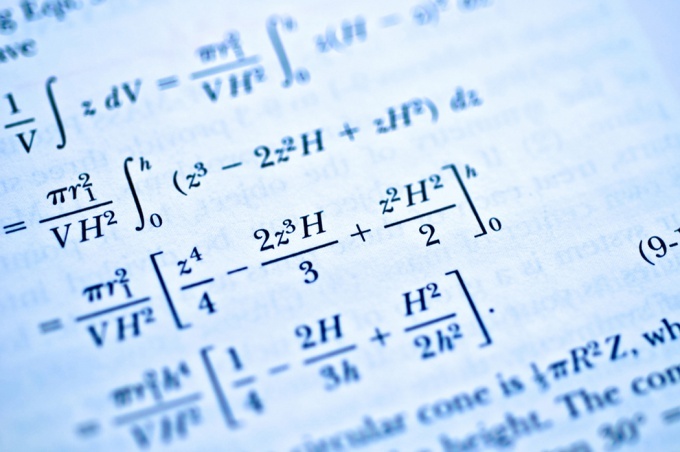 It is customary to divide common and decimal fractions, familiarity with which begins in high school. Currently there is no area of knowledge where you would not apply this concept. Even in history we're talking the first quarter of the 17th century, and all at once understand what we mean 1600-1625. Also often have to deal with basic operations on fractions and convert from one form to another. Reduction of fractions to a common denominator is perhaps the most important operation on ordinary fractions. This is the basis for all calculations. So, let's say there are two fractions a/b and c/d. Then, in order to bring them to a common denominator, you need to find the least common multiple (M) numbers b and d, and then multiply the numerator of the first fraction to (M/b) and the numerator of the second to (M/d). 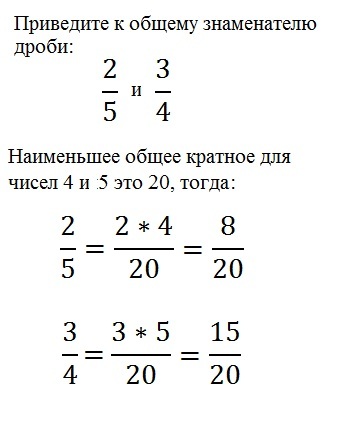 Compare fractions, is another important task. In order to do this, give a set of simple fractions to a common denominator and then compare numerators whose numerator is greater than the fraction and more. To cost to remind that in order to get the reverse shot, you need the numerator and denominator are reversed. Order from the ordinary of the fraction go to a decimal, you need to divide the numerator by the denominator. The result can be both finite and infinite.If the decimal fractions you need to go to an ordinary, lay your number for a whole hour and the fractional presenting the past in the form of a natural number divided by ten to the appropriate degree. Do not forget to reduce the fraction. Sometimes when performing calculations you must divide the fraction to the fraction. Fractions can have different views. And this can cause all sorts of difficulty. But dealing with them can be a snap. In order to divide common fraction to common fraction, multiply the first fraction by the inverted second fraction. 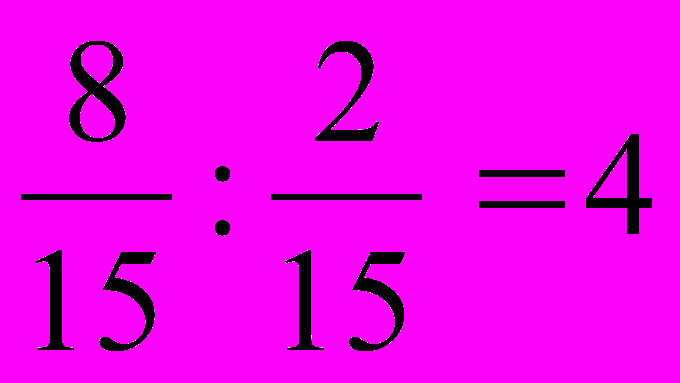 This "inverted" ordinary fraction, where the numerator and denominator are reversed is called reverse. When dividing fractions it is necessary to pay attention to the fact that the second fraction is not equal to zero. Sometimes, if the fraction is quite bulky, it is extremely difficult to make. In addition, the second fraction can contain some variables (unknown) value, which for certain values of the draw roll to zero. You also need to pay attention to those cases where the denominator of the second fraction vanishes. When the action variables for all these cases, you must specify in the final answer. To divide a mixed fraction by a mixed, a mixed fraction to an ordinary or common in mixed, get mixed fractions to an ordinary mind. Then to make the division as specified in step 1. To transfer mixed fraction to an ordinary need the integer part of mixed fraction multiplied by its denominator and add the resulting product to the numerator. When dividing decimal fractions to ordinary (mixed) or division of ordinary (mixed) fraction to a decimal, all fractions are reduced to the ordinary mind. After this division is done according to step 1. To translate decimals to fractions, the "throw" of the decimal point and recorded in the numerator and in the denominator write one and as many zeros as digits stood to the right of the decimal point. To divide two decimals need in divisible and the divider to move the decimal point that many digits to the right of the second fraction to make a whole number and divide the resulting number. If the divisible to transfer the decimal point in the "missing" digits, missing digits are replaced with zeros. The divisor and denominator of a fraction can't be 0. Common fraction - number whimsical. Sometimes you have to suffer to find the solution of the problem with the shot and present it in the proper form. Learning to solve examples with fraction, you will easily cope with this unpleasant thing. Consider addition and subtraction of fractions. For example, 5/2+10/5. Bring both fractions to a common denominator. 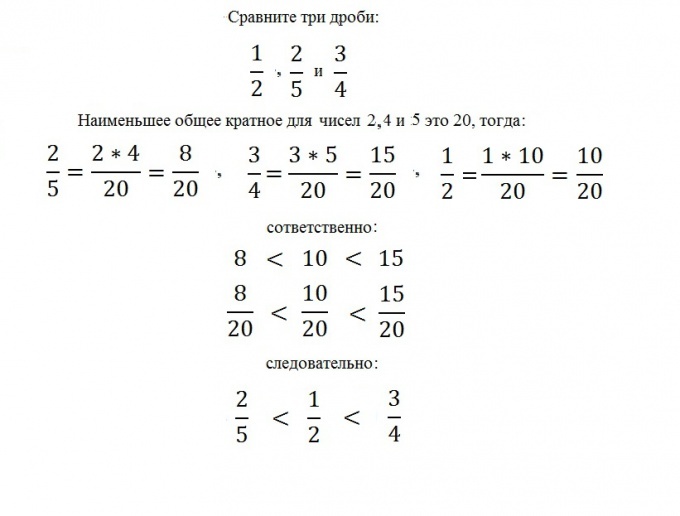 To do this, find the number that can be divided without remainder by the denominator of the first and second fractions. In our case this number is 10. Convert the above fraction, obtained 25/10+20/10. Now add together the numerators, and leave the denominator unchanged. It turns out 45/10. It is possible to reduce the resulting fraction, i.e., divide the numerator and the denominator by the same number. It turns out 9/2. Highlight the whole part. Find the maximum number that can be divided without remainder by the denominator. The number 8. Divide it by the denominator - this will be a part of it. So, the result is 4 1/2. Perform the same steps in subtracting fractions. Consider the multiplication of fractions. Here everything is simple. Multiply together the numerators and denominators. For example, 2/5 is multiplied by 4/2 turns 8/10. Simplify the fraction, it turns 4/5. Consider dividing fractions. In this step, you flip one of the fractions, then multiply numerators and denominators. For example, 2/5 divided by 4/2 - turns 2/5 times 2/4 - it turns out 4/20. Simplify the fraction, it turns out 1/5. To divide a fraction to a fraction is easy - just multiply the first fraction on the bottom of the second. However, there are some nuances to consider who still need. When dividing fractions, multiply the first fraction (numerator) by the inverted second fraction (the divisor). Such a fractionwhere the numerator and denominator are reversed is called reverse (to source). When dividing fractions it is necessary to check that the second fraction and the denominators of both fractions are not equal to zero (or did not take zero values at certain values of parameters/variables/unknown). 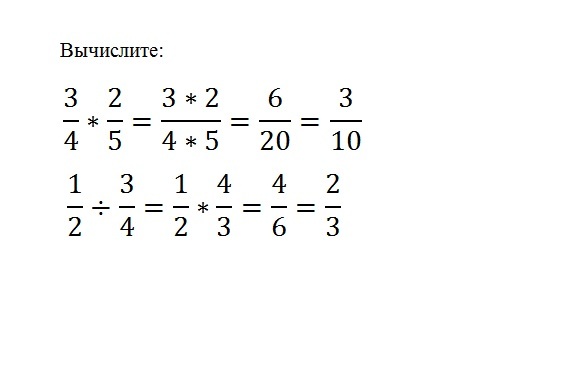 Sometimes, due to cumbersome fractions, it is very obvious. All values of variables (parameters), converting to zero the divisor (the second fraction) or denominators of fractions must be specified in the response. a/s : x/s = and/s * /x = (a*C)/(C*x) = a/x, where ? 0, x ? 0. 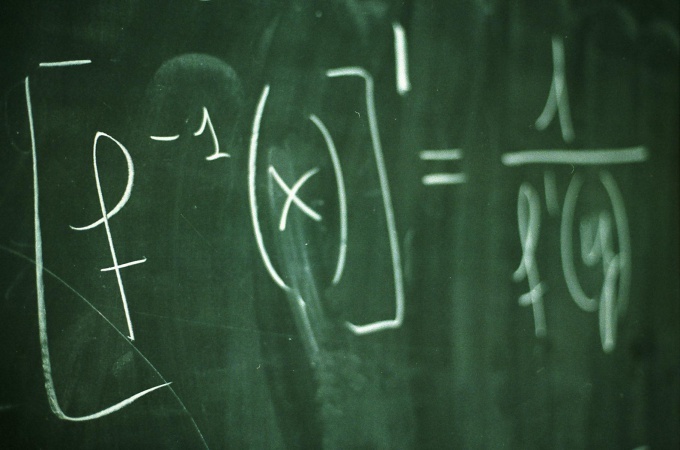 To divide mixed fractions, you need to bring them to the ordinary mind. Next, act as in claim 1. 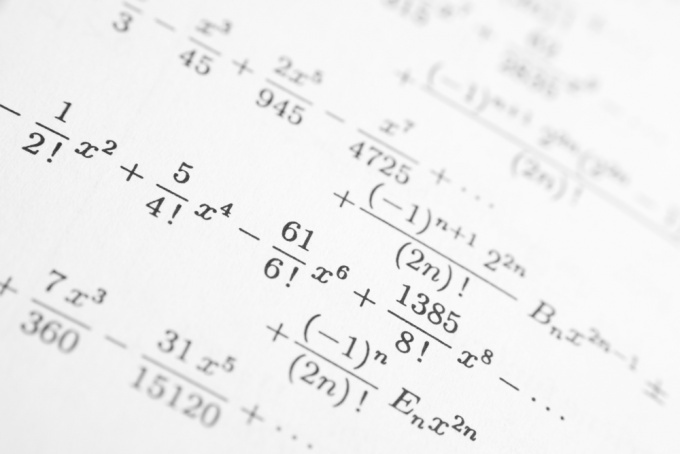 To convert a mixed fraction to an ordinary mind it is necessary the whole part times the denominator and then add this product to the numerator. When dividing fractions, different types (mixed, decimal, common), all the fractions previously given to the ordinary mind. Further, according to claim 1. A decimal fraction is translated into common is very simple: the numerator is written decimal fraction without the decimal, and the denominator order fractions (tenths to ten, a hundred for hundredths, etc.). 1,5 : 1 1/2 = 15/10 : 3/2 = 15/10 * 2/3 = (15*2)/(10*3) = 30/30 = 1. When dividing two decimal fractions, both pre-multiplied by 10 to the extent that the divisor was a whole number. After dividing decimals "completely". If necessary (based on the conditions of the problem), you can find a multiplier value, to become whole as the divisor and the dividend. Then the task of dividing decimals is reduced to the division of integers. A fraction is a noninteger, or augmented the number, such as 1/2 (=0.5) or 7,5/5 (=1.5 m). 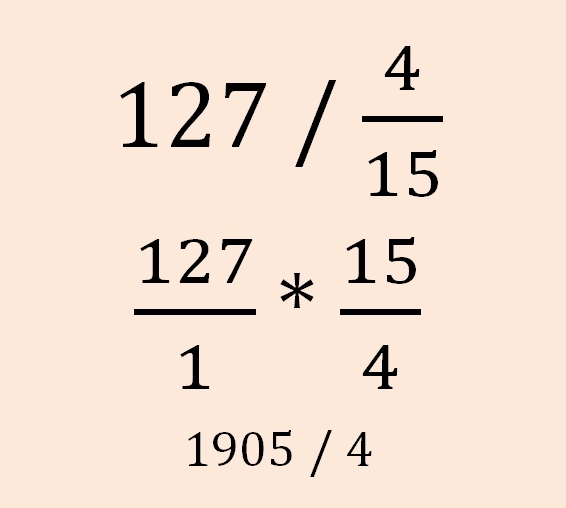 Sometimes a fraction can be any integer numberm, for example, 20/5 (=4), but its entry does not have the mathematical meaning, which is entered in the roll. First recall that the simple or ordinary fraction can be written as X / Y where X is the numerator and Y the denominator. For example, 1/4, or 0.25 in digital recording. For convenience of further calculations, it is recommended to write the fraction vertically: a numerator, a horizontal bar dividing under him, and the denominator in the runway.To divide a number by a fraction, you need to present the number as a fraction. Since the number is the number of integer parts, then it goes in the denominator and in the numerator of the prescribed what is the number of divided parts to obtain the very same himself – that is, one. 8 should be written as 8/1, and 263 – how 263/1, and so on. Writing this action in the usual fraction with a horizontal division, you will receive:(127*15)/4;the Result of 467 1/4. 127 : 0,2666... = 476, 476 2500001 or 1/4.The results coincide.